Argonne director Eric D. Isaacs, a "formidable advocate" for the University's values, is appointed provost. The University's undergraduate minor in molecular engineering offers "a new way of thinking about technology innovation." Joshua Mitchell, PhD'89, reflects on how students from Washington to Iraq differ in their understanding of Tocqueville's "lonely man" in the democratic age. Jay Berwanger's (AB'36) legacy endures, thanks in part to an award nobody had heard of when he won it. Phoebe Maltz Bovy, AB'05, explores the appeal and peril of sharing anecdotes and grievances online. Physicist William Irvine explains how new tools inform his research on knotted vortices and offer insight into the nature of turbulent flow. Groupon CEO and Chicago Booth adjunct professor Eric Lefkofsky and his family commit to the Giving Pledge founded by Bill Gates and Warren Buffett. Inspired by behavioral economist Richard Thaler's book, the British government experiments with ideas that put human nature into the policy-making equation. 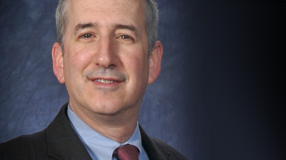 Professor Steve Kaplan says Chicago Booth is the place to be for aspiring entrepreneurs. Rockefeller Chapel serves as the University's spiritual and ceremonial home. Here's your chance to share your opinions on the Magazine's reader panel. It's also your chance to win an iPad Mini. Join volunteers, alumni, and parents on February 22, 2014, for interactive workshops, networking, and presentations by University leadership. 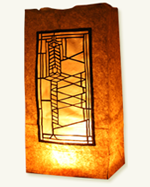 As daylight dwindles, cut out paper-bag luminarias inspired by windows on campus to light your way home this winter.